Gold has had an alluring attraction for man throughout the ages. Wars have been fought over it, love has been won by the use of it and merchants have been made wealthy because of it. But why has gold, almost without exception, been a favorite with men and women over the years? What causes this strange attraction? Some contributing factors might be that gold does not tarnish, rust or deteriorate in any way, but remains shiny and golden at all times. It keeps its value even when the economy is taking a dive. Gold remains steadfast and true relative to the value of other goods and services. In fact, the decline in confidence in world currencies contributes in no small way to the continued popularity of gold. With the advent of the internet, the transfer of funds by the use of gold has now become big business and millions of dollars worth of gold is moved around the planet literally at the speed of light and Asia, of course, never did lose its focus on the value of gold both economically and culturally. The European exploration of the Americas was fuelled in no small part by reports of the gold ornaments displayed in great profusion by Native American peoples, including Central America, Peru, and Colombia. The desire for gold was so strong that ships flooded to the Americas in search of this wondrous metal. Gold is not the most expensive of the metals. Platinum being traditionally of higher value. But although the price of some platinum group metals can be much higher, gold has long been considered the most desirable of precious metals, and its value has been used as the standard for many currencies in history. Gold has been used as a symbol for purity, value, royalty, and particularly roles that combine these properties. Although the gold futures price you see in the media continues to go up and down like a roller coaster, gold is still considered highly valuable. Asia, collectively, is the biggest buyer and holder of gold on the planet, followed closely by Russia and South America. 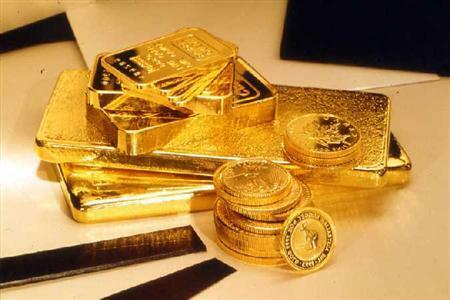 The vast majority of people on the planet think that gold is worth keeping and favor it over paper currency. Some people consider gold is valuable due to its rarity. However there are many other elements and substances rarer than gold but which do not have the same level of desirability. Diamonds for example, Platinum and some of the rare earth elements are more rare than gold. Its malleability is another reason but there are also other materials equally as malleable if not more so. Philosophically it was once said that when gold was created the gods put desire into it so that man would always desire it. Perhaps there is a lot to be said for that theory, as whimsical as it may be. Perhaps it is a cultural thing. In Africa gold was not considered particularly important to the indigenous tribes until conquerors from the west came and expressed their ardent desire to own the metal thus giving it value. On the other hand, in the Americas, gold has always traditionally been held in high esteem. Gold is very versatile. It does not tarnish, is impervious to most other elements and can be moulded and worked into an almost infinite variety of shapes. Perhaps it is a combination of all these things and others. Thomas More, the renowned English author, poking fun at gold as a symbol of wealth and riches in his novel Utopia and, by implication acknowledged it. On the imaginary island of Utopia gold was so abundant that it was used to make chains for slaves, tableware and lavatory-seats. When ambassadors from other countries arrive, dressed in ostentatious gold jewels and badges, the Utopians laughingly mistook them for servants and addressed those in the party who were NOT so lavishly adorned. Despite Thomas More’s jocular reference, gold has held its own in any society through the ages and continues to do so as evidenced by the continual accumulation by many nations and peoples. Gold will continue to be considered highly valuable by the vast majority of people on this planet regardless of any temporary short sighted price manipulation of the gold price.